I recently had a birthday and received this awesome mug from my loving girlfriend, she had quite the task ahead of her when shopping for me. She knows I don’t like receiving gifts, and especially expensive ones. She nailed it on the head, the mug is awesome and with the added sentimental value it’s priceless. I’d highly recommend, if you have someone difficult to shop for or you’d just like to spoil yourself as Christmas season approaches , you check out this fun mug. 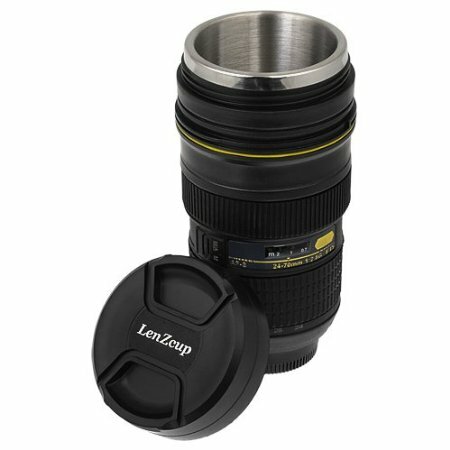 The mug is a 1:1 replica of the Nikon 24-70mm lens with a screw on lid. Note: Hand wash!